It feels pretty good to be “back to work” I don’t mean my big girl job I mean real work on triathlon. This weekend included a very difficult 16 mile trail run (don’t ask how long it took me!) but it was beautiful. Yesterday we set out for 57 mile bike ride but cut it to only 30 miles because my knee started hurting and I don’t want to risk injury at this point. I was also struggling with the upper 90 degree heat. Anyone have any suggestions for getting better dealing with the heat? I tried to make sure that I took care of my body after each workout with ice baths, stretching and rolling. 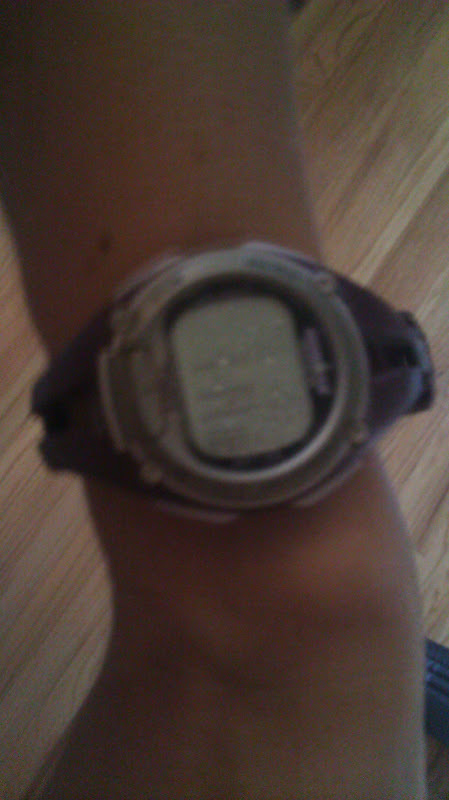 This is the second timex “waterproof” watch that I have had fill with water. The first time I didn’t mind too much because it was fairly cheap from target but I am really frustrated that this one is fogging up because it was a more expensive model with a heart rate monitor. 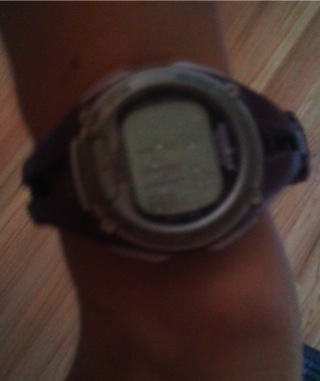 I HATE not having a watch. I have had this one less than a year. Anyone have any suggestions or a watch brad that has really worked for them? 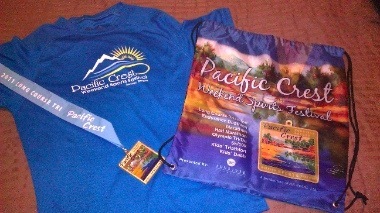 Last I want to share some of the swag from Pacific crest half Ironman. 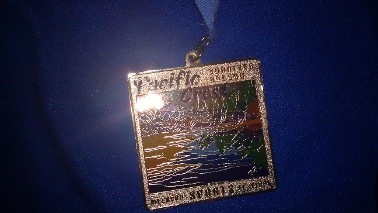 Everyone received a tech t-shirt, bag and medal. 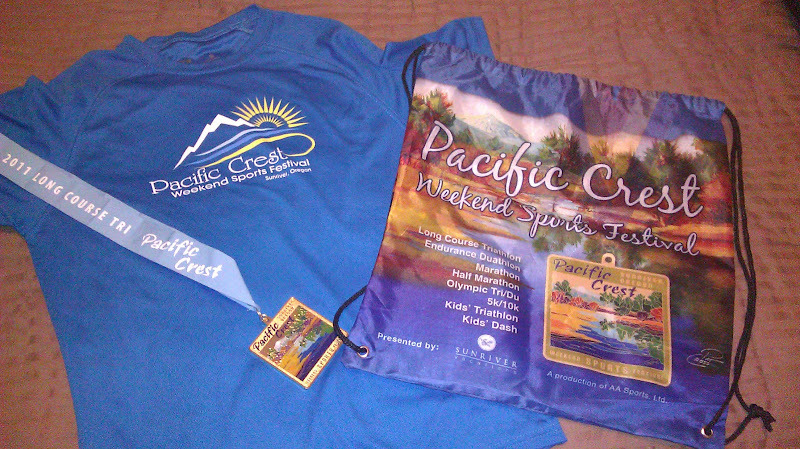 You could purchase a finishers T-shirt with the race that you completed on it. I decided not to buy it because we had already spent so much on this race plus it said “sea level is for sissies, ALT 4,200 ft. Living in Denver I think I would get laughed given that we race anywhere from 5,000-10,000 ft.
Wow that was a really random post, this is what happens when I compose a blog post in my head while swimming. Happy Tuesday everyone! you had to buy the shirt? really? oh my. and I have to ask, how long did the 16 miler take on trails? whoa! I know this heat has been a little crazy, I asked something very similar and I was told the only way to get used to it is to train in it. :)At least this week looks to be cooler. The medal is really cool and I like how simple the shirt is :). The heat really got to me when I rode on Sunday (97 when I got in the car after the ride) and I think you just gotta ride in that stuff frequently to get used to it. Wish the water bottles would stay cold somehow. Nice job on the 16-miler trail run!! Yay! Hope you can figure the watch thing out. Too weird that it got filled with water!